Things have expectedly taken a turn for the worst after the confirmation of floating bodies and various pieces of debris were found in the location where experts had predicted was the scene of the tragedy. The Java Sea off the coast of Borneo was indeed where the jetliner serviced by AirAsia went down after losing contact with air traffic control a few minutes after requesting permission to switch to a different altitude to avoid the stormy weather in their range. 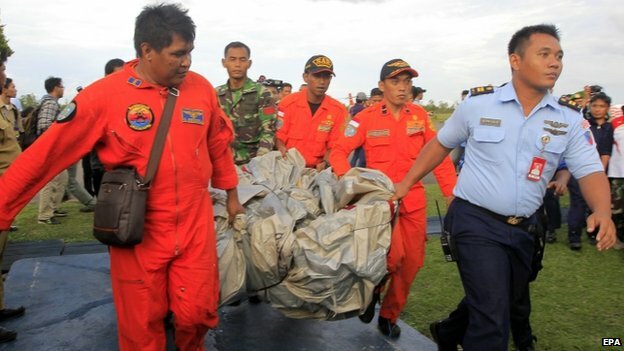 The Indonesian search team gave Reuters a detailed summary of what has been recovered from the restless waters, which include, “a plane door, oxygen tanks, and one body”. The recovery efforts are obviously still underway and to the horror of grief-stricken family members – it is also being televised. Graphic images of a rescuer pulling the half-naked and bloated body of a victim literally sent a middle-aged man to the emergency room. Perhaps, this isn’t the best way to allow families who have been affected by this tragedy to mourn with dignity. But some of them are still holding out hope that their loved ones are miraculously safe – Ifan Joko is one of those people. He tells the New York Times, “I’m still hoping my brother is safe”.